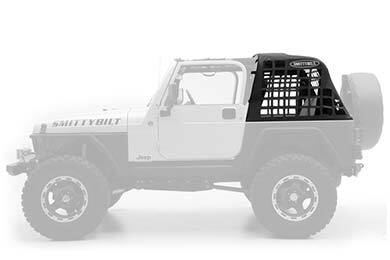 Smittybilt 561035 - Smittybilt C.RES Cargo Net - FREE SHIPPING! Got this for driving to and from camping with my 2 dogs. It's so nice to have a place for them while having the top off the jeep. Extremely handy and looks cool. I have gotten a ton of compliments too. So far all products purchased as well as the overall order experience has been top notch from autoanything. Thanks! Worked great for my application to keep the dogs safe in the back. Very easy to install it took about 10 minutes. Great product well built. Never saw one in my area so I get lots of looks and many questions. It was here in 2 days. 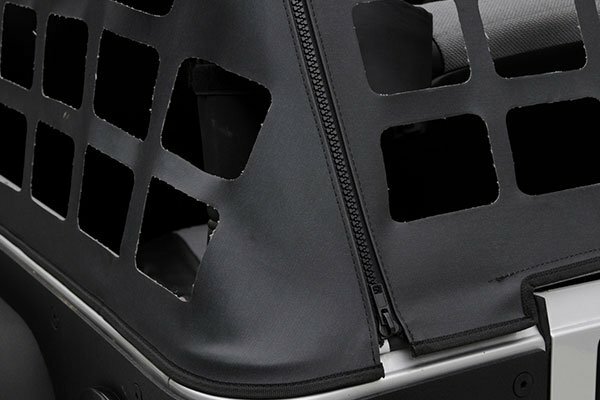 Perfect for dogs, kids and cargo. Cuts the wind a little too! I managed to leave on the full top over it but had to drop the bow attachment. This was a little tricky so I will order a half top to make it open on the back half. My friends all love it and think it's very cool. Stands out amongst all the other Jeeps! I love it. I see often that people complain about the cheap material used, but I don't see it. 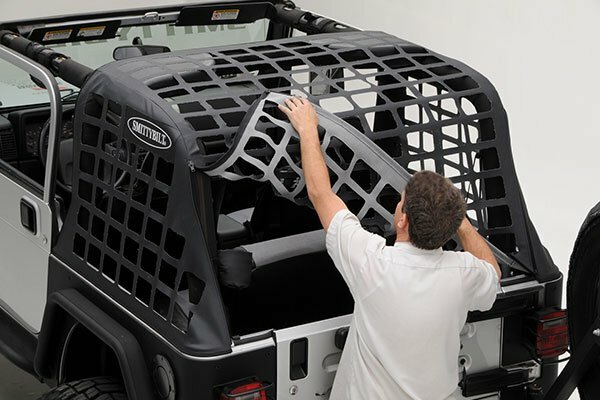 The instructions say to use the factory rear window bar, but it works great even without it. 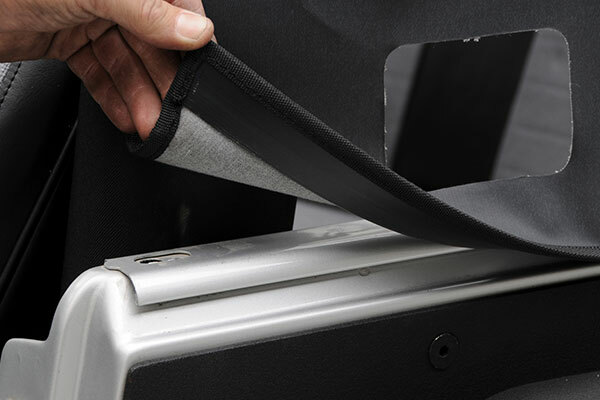 Its strong, tight, fits right, and does its' job as described. 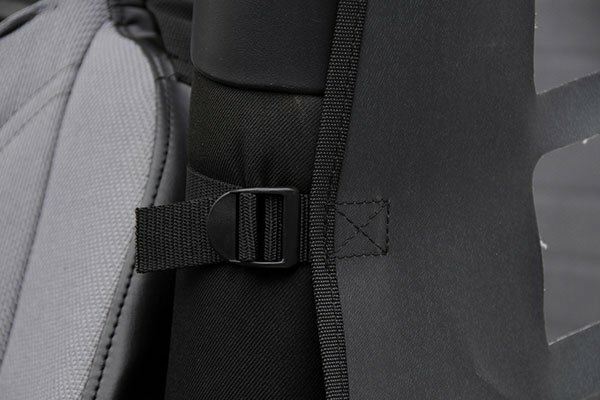 I gave 4 stars on Installation because the buckle straps are a bit shorter than normal, but it doesn't hinder the final install. Reference # 766-632-648 © 2000-2019 AutoAnything, Inc.